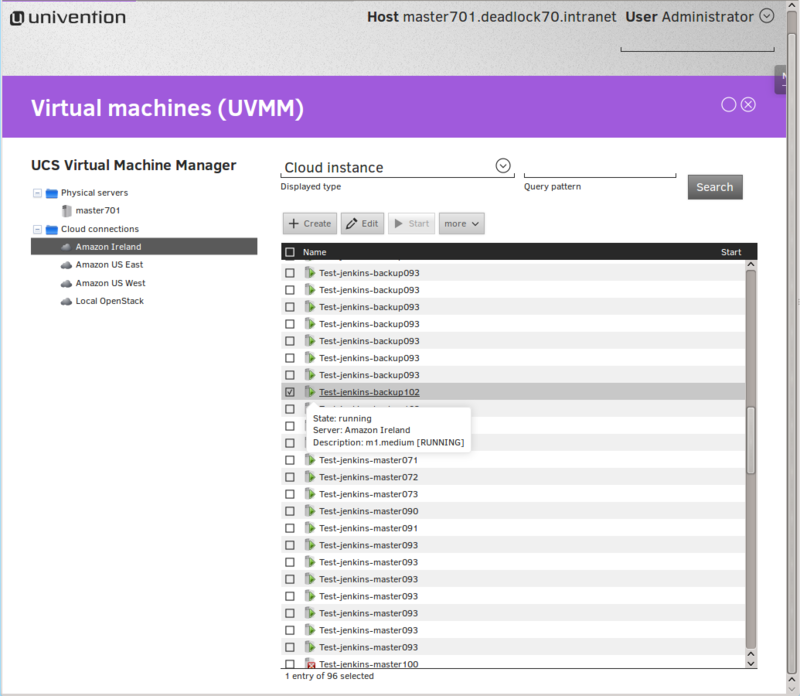 This app enables the UCS Virtual Machine Manager to manage virtual instances in Amazon EC2. It combines the management of virtual instances on-premises and at Amazon EC2 in one interface. A connection can be configured for each EC2 region. The app provides a wizard to create new virtual instances with the well-known attributes like instance type, AMI or security group. The actions include start, stop and terminate. Your own account at Amazon Webservices (AWS) is required. Download UCS and activate Amazon EC2 cloud connection directly from the App Center.